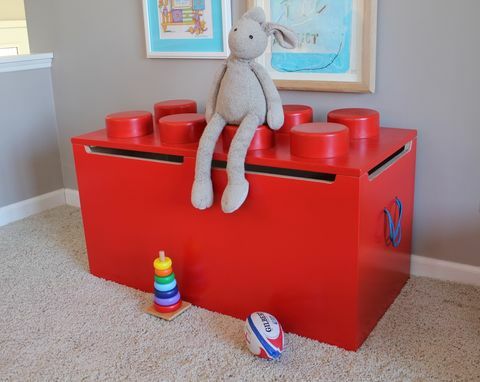 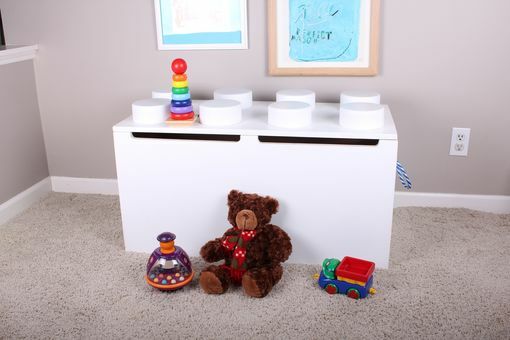 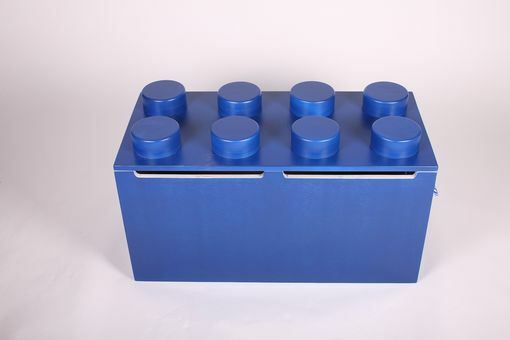 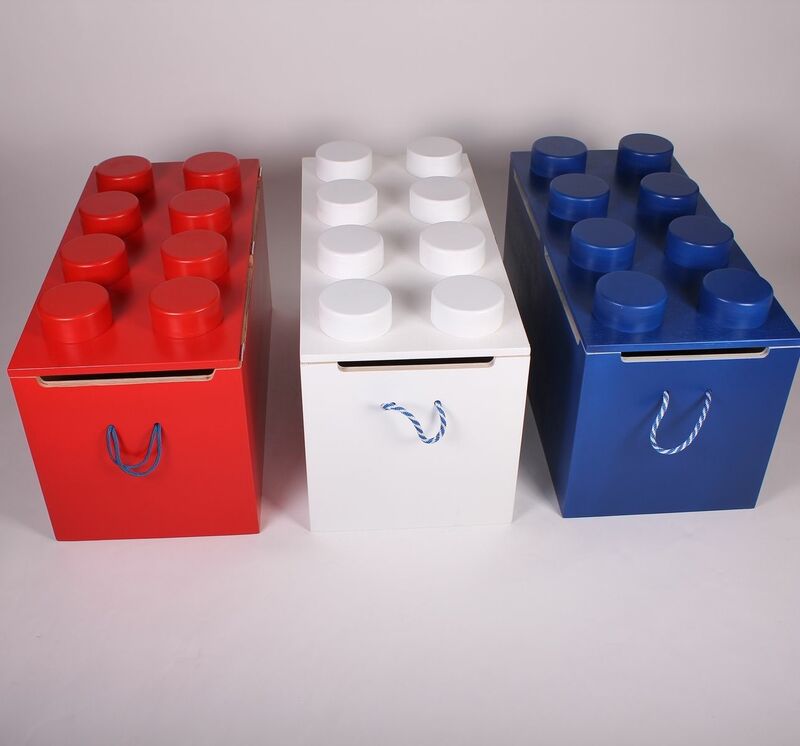 This toy box built in the style of an extra large childs building block provides ample storage for most childrens toys. 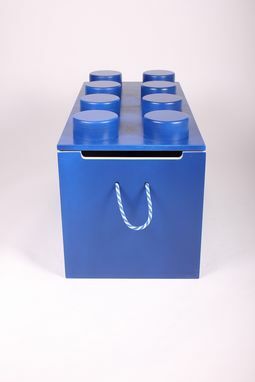 Not only is it practical it also adds an element of fun and would make a statement in almost any room. 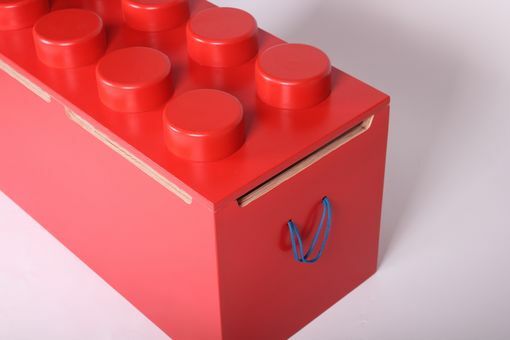 Made from high quality Baltic Birch plywood the design incorporates safety hinges that hold the lid open and prevent it from slamming. 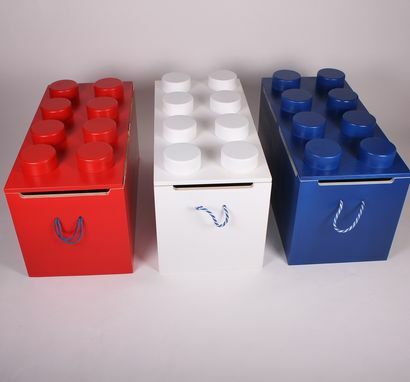 Two rope handles allow it to be easily carried.